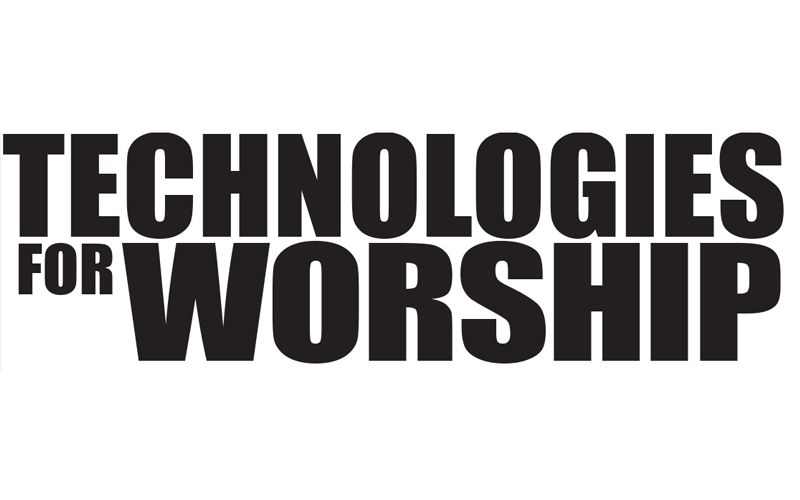 The audio/video equipment used today is far more sophisticated than a decade ago, providing churches better performance, although often at considerable cost. In the “old days,” how many churches had to safely power a guitar rig onstage, a mixing board and outboard gear at the front of the house, and a projector backstage? 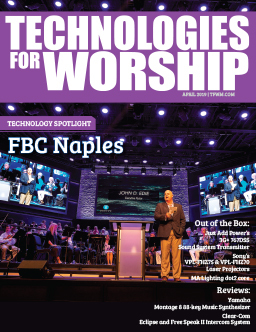 The recent advent of podcasting and sermons on various other forms of media, many churches are incorporating recording and broadcast technologies to help get their message to a wider audience. The quality of the electricity on the nation’s power grids is more unstable than ever before. Dangers that flow sight-unseen down power lines pose a constant risk to those powerful yet sensitive electronics. Most people are aware of surges, also known as transients, which are defined by the National Electrical Manufacturers Association (NEMA) as brief overvoltage spikes or disturbances on a power waveform that can reach tens of thousands of volts. Unfortunately, they are not caused solely by lightning strikes — a common misconception — they can also be induced from a variety of causes both outside and inside a facility. The general population is not very aware of electrical noise, but it too poses a risk to both the performance and lifespan of electronics. This noise is really unwanted signals that are caused by electromagnetic radiation emitted by some electrical circuits. It interrupts or degrades the performance of those circuits in ways that can manifest as buzzing audio and flickering video. It masks the low-frequency information that defines the harmonics, instrument timber, spatial cues, and other signals that provide resolution and depth to high-end audio. Noise renders precise calibration impossible. Surges and noise may be the most common power problems, so widespread that virtually no facility is safe from them, but there are still more risks to electronics. Voltage irregularities can be caused when high-voltage equipment, like air conditioners, suddenly switch on, drawing a large amount of power and momentarily drawing electricity from the facility’s other electronics. Outdated electrical wiring and unsafe grounding are common in older buildings, but not to be forgotten are the human errors, from wiring to accidental connections, to high-voltage outlets to simply turning equipment on in the wrong sequence. Given that churches must often employ untrained volunteers to orchestrate audio/video systems during services, the risk of human error can be higher than in most facilities. The low quality of the nation’s power supply should not come as much surprise, considering the electrical grid is more than a hundred years old and was designed at a time when there were no concerns about the quality of audio, video, and digital data. Ironically, as electronics continue to improve, the quality of the electricity is moving in the opposite direction. There is a relationship between the diverging paths. As more and more products with switching power supplies — a group that ranges from personal computers to simple thermostats — are plugged in across the country, their very operation can cause electrical anomalies that reenter the grid and plague other systems. Power utilities themselves have switching equipment that also contributes to the problem. Improvements are not forecasted for the near future. Even if the grid itself could somehow be purified, the problems would remain because 60 percent to 80 percent of surges are created within and suffered by the very facility using the power. Fortunately, solutions are readily available — it just becomes a matter of identifying the right product for a given application. At the bottom of the power protection product range are the plastic power strips available at nearly every department and consumer electronics store for a small price. It’s surprising that anyone might expect a $20 investment in a power strip to protect thousands of dollars of electronics, but such cases do occur all over the nation. These devices often hype their surge suppression capabilities, while only some succeed in stopping lower-voltage surges — once or twice. That’s because cheap surge-suppression circuits are self-sacrificing to be effective, meaning that once they stop the first big surge they lose their defensive abilities, sometimes imperceptibly, leaving any equipment still attached to them at risk. Ideally, a power conditioner will offer non-sacrificial surge suppression technology, stopping electrical surges and spikes at greater levels than other available products while continuing to do its job repeatedly without the need for maintenance, repair, or replacement. In addition to their weak surge protection, power strips have no effect on electrical noise, voltage irregularities, or other such problems. Practically speaking, they should be considered useful for adding outlets but little else. Of far greater capability are power conditioners, which only increase the number of available outlets as a byproduct. A power conditioner is good to have for protection and to allow optimal performance whenever an application calls for powering expensive or critical electronic equipment. The best power conditioners block excess electricity, whether from transitory surges or accidental high-voltage connections, and filter the power to minimize noise. But choosing one becomes difficult when they all claim to be the best! That’s why a careful evaluation of power conditioners includes a comparison of performance statistics. If a device under your consideration doesn’t list performance stats, it’s safe to assume that they aren’t very good. For a common 120-volt system, look for one that can take multiple surges of up to 6,000 volts and 3,000 amps and dissipate them to less than 200 Vpk (peak volts, equivalent to 135 Vrms). This is a level that any component’s power supply can handle without stress or failure. Furthermore, unless you want to risk having to repair or replace the power conditioner after a surge, make sure it can clamp those surges without sacrificing itself. Since human errors are always a possibility, also look for Extreme Voltage Shutdown (EVS) capabilities that block constant voltages that rise above 15 percent of normal conditions, which would be the case with accidental connections to high-voltage power supplies. Noise is a bit trickier for power conditioners. Ironically, some power conditioners that are based on traditional nonlinear filter technology can lower noise in some octaves but not others, which results in resonant peaking that can actually add more than 10 decibels of noise to the incoming AC line. The effects of nonlinear filtration is perhaps most noticeable by discriminating technicians who have complained — and rightly so — that many power conditioners “re-equalized” their carefully calibrated systems. The error that these manufacturers make is in assuming that real-world electrical impedances are constant, such as the type they produce in the lab. They aren’t, and as a result, the AC noise that they can couple into electronics may be higher than most of the low-level signals it is attempting to record or reproduce, and those signals get masked. Linear Filtering Technology (LiFT), on the other hand, ensures noise reduction along a smooth, linear curve with no resonant peaking to preserve low-level signals. In facilities that experience inconsistent power, such as when an air conditioner kicks on and causes lights to dim or equipment to unexpectedly shut down, a different device called a voltage regulator should be used to protect electronics from suffering damage, or short-term failure. A good rule of thumb is if your voltage from the wall is always between 115 and 125 volts, a regulator is not necessary. However, if the voltage levels slip out of this range on a regular basis, a regulator is a wise investment. Voltage regulators don’t necessarily protect against surges and filter noise, which should be the higher priority, but some are available with full power conditioning capabilities built in. Front-of-house gear such as mixers, wireless microphone receivers, and signal processors need to be turned on before the amplifiers, and shut down last. Power sequencers have separate outlet banks, and the installation contractor can simply plug equipment into the unit in the proper power-on/power-off sequence. Once the power sequencer is properly set up, even a novice can power the entire system on or off correctly with the flip of a single switch. As with voltage regulators, some sequencers are available with built-in power conditioning. 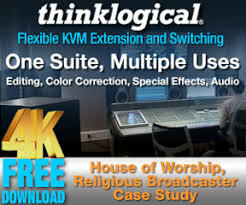 Other features and components that some churches might find useful in their audio/video installations include digital or segment-LED voltage meters, current meters, front pull-out lights, and rear gooseneck lamps. The important thing to remember, however, is that the further we get into the digital age, the more important power conditioning becomes for the performance and safety of multimedia systems. With careful research and planning, a relatively small investment in advanced power protection can save churches a lot of headaches — and the potential for expensive equipment breakdowns thanks to bad power.